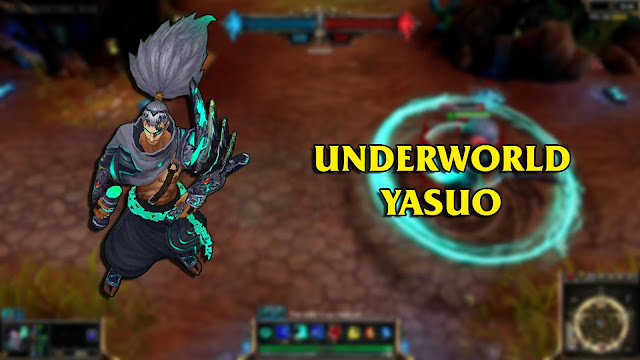 Mod skin Yasuo Underworld , mod skin yasuo is free software to change the default skin game league of legends (LOL) PHILIPPINES. The program will automatically find the path the game when you start the game. We assure would not be harmful to your account and it's free. Then you follow the steps to mod skins. you should "Start Game" before click "Mod Skin"
I love YASUO so I make this App to collect all images of Yasuo for mobile. If anyone has/knows some images. 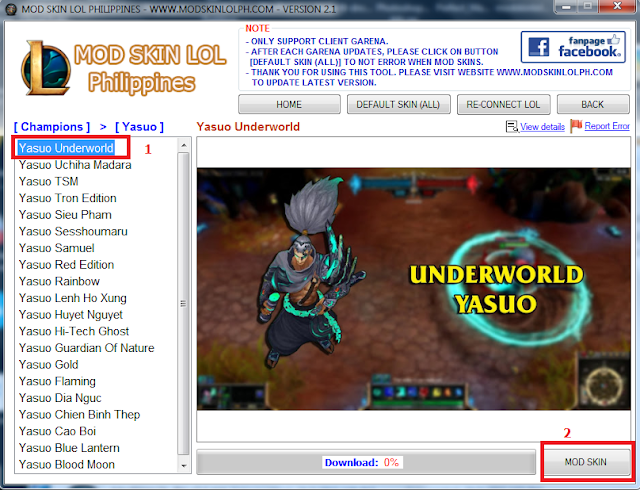 Please give me for upload for another.